airberlin is Germany's second largest airline. It currently works with a number of outsourcing partners, and is amid an important transformation process. Through the implementation of new technologies and processes, the airline will improve customer interactions and make their contact center landscape leaner and smarter. We interviewed airberlin's Vice President, Customer Interaction, Carsten Biel to find out more. 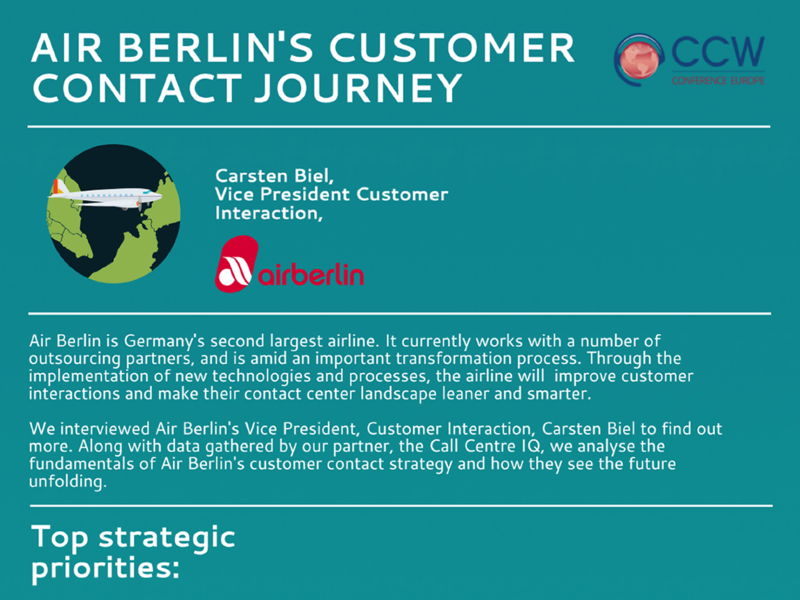 Along with data gathered by our partner, the Call Centre IQ, we analyse the fundamentals of airberlin's customer contact strategy and how they see the future unfolding.